Here were all are (well, Fan is taking the picture), at the Nauvoo temple. This is a picture from Nathaniels picture. I have a whole bunch more on my camera, but there on Brents computer upstairs. I need to burn a disk so that I can put it on my laptop. 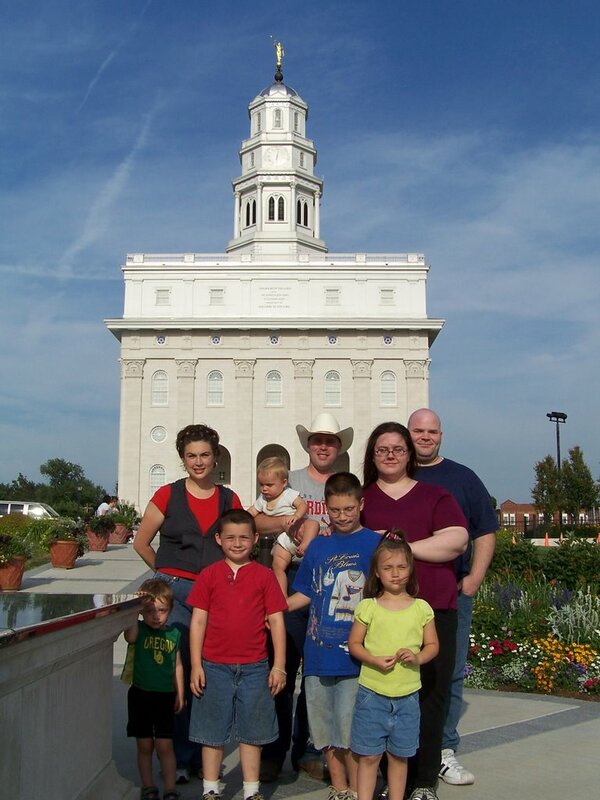 Then I'll post a bunch more pictures of my family at the temple.